A shoulder becomes frozen when the soft tissues around the joint become tight and short. It is of uncertain aetiology and can be more common in diabetics. 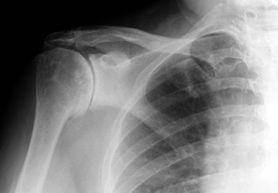 It can occur after trauma or surgery when it is known simply as post-traumatic stiff shoulder. The scarring prevents the shoulder from moving and leads to the pain and stiffness. The problem may resolve over time but it can take up to few years or sometimes even 10 years. Treatments involve physiotherapy, injection or steroids and exercises, or surgery if the above measures fail. MUA technique is used in the treatment of frozen shoulders. The aim of the manipulation is to reduce the recovery time by stretching the joint to gain full range of movement. If the shoulder is very stiff even after a MUA an arthroscopic release of the tight capsule may be necessary. Regular physiotherapy (exercise therapy and stretching) in the first few weeks following your procedure is paramount to keep the stretched structures at operation from contracting and scarring again. Recovery takes 3-6 months. 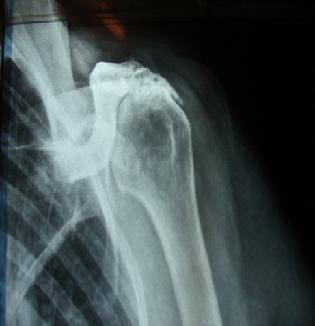 Arthritic shoulders can also present like frozen shoulders but the x-rays will show evidence of wear and tear and loss of articular cartilage. 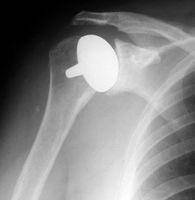 The shoulder is a ball and socket joint with a large range of movement. Usually when severe arthritis (wear of the bearing surfaces of the joint) affects the joint surfaces the shoulder becomes painful and difficult to move with stiffness, crepitus and significant night pain. This operation is to reduce the pain in your shoulder if physiotherapy/ painkillers fail. 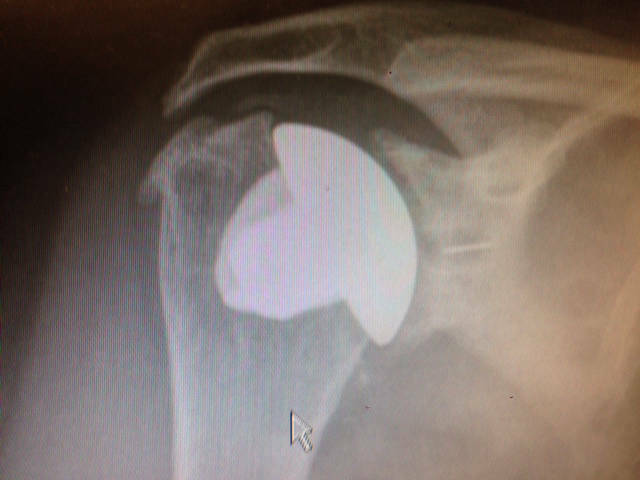 The operation replaces the damaged surface of the ball of the joint (see pictures) This shoulder replacement called "the Copeland Shoulder". 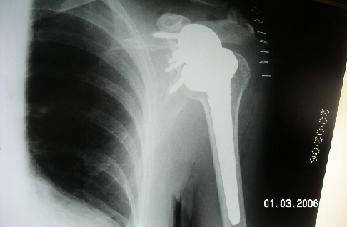 Occasionally a different type of replacement may be used (Stemmed implant or Reverse Shoulder prosthesis). Stemmed replacement is sometimes necessary if the joint damage is severe The doctors will discuss your individual surgery. The reverse shoulder is done when you have lost all the rotator cuff muscle in the shoulder as happens with degeneration of tendons with age.